Back Bay Books, 9780316012652, 384pp. 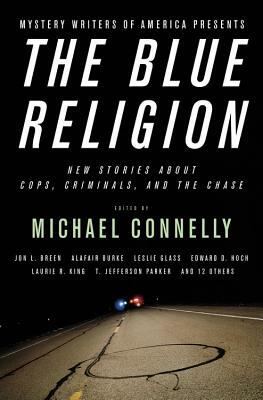 Nineteen original stories--including a new contribution by New York Times bestselling author Michael Connelly--about riveting showdowns between cops and criminals. From Hawaii at the turn of the twentieth century to the post-Civil War frontier, from smoggy Los Angeles to the woods of Idaho, these gripping stories trace the perils and occasional triumphs of lawmen and -women who put themselves in harm's way to face down the bad guys. Some of them even walk the edge of becoming bad guys themselves. In T. Jefferson Parker's "Skinhead Central," an ex-cop and his wife find unexpected menace in the idyllic setting they have chosen for their retirement. In Alafair Burke's "Winning," a female officer who is attacked in the line of duty must protect her own husband from his worst impulses. In Edward D. Hoch's "Friday Night Luck," a wanna-be cop blows his chance at a spot on the force--and breaks his case. In Michael Connelly's "Father's Day," Harry Bosch faces one of his most emotionally trying cases, investigating a young boy's death. The magnificent and never-before-published Connelly story is alone worth the price of admission, and-combined with 18 unexpected tales from crime's modern masters-makes this an unmissable collection. Michael Connelly, a #1 New York Times bestselling novelist and a former journalist, has won numerous crime fiction prizes. He lives in Florida.